There was a time in my life when I used to think a lot about revolution in Ethiopia. In fact, in 2011 during the so called ‘Arab Spring’ I wrote a rejoinder article when Ethiopian democracy activists (especially those who are based in diaspora) planned a ‘Day of Rage’ using Facebook and aimed at ending EPRDF’s two-decade authoritarian rule. Just after a year I wrote one more rejoinder titled “Revolution is Ephemeral ’. In this article I tried to highlight what Ethiopians truly lack to launch a genuine social revolution using social media. In these couple of articles it appeared that I went up against proponents of revolution but I was trying to explain the traceable causes and conditions of social revolution. In a nutshell, I was saying that the significant portion of the Ethiopian population, the opposition politicians, and the intellectuals and generally the elite and social ideals and social reality were not sufficiently prepared to kick-start an authentic and organic social change. 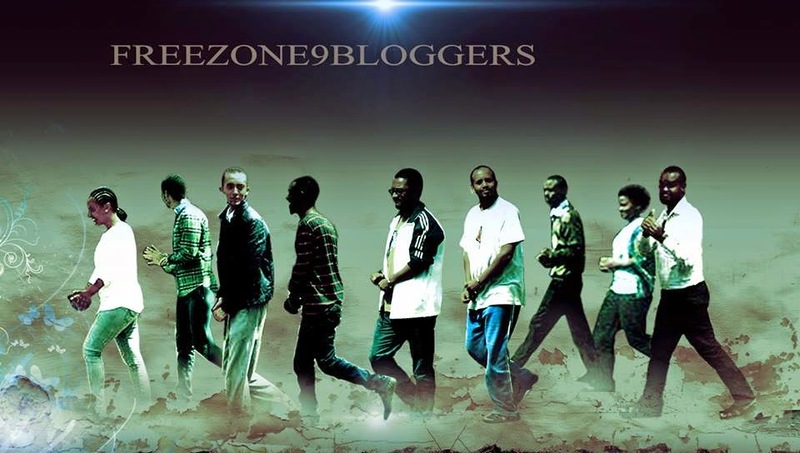 Yet again in 2012, I was inspired enough to write a series of articles under a general title ‘Concerning Change’ on our own blog Zone9. In the first of my series of articles titled “Will EPRDF hand over power by means of election?” I tried to explain why EPRDF will keep on clinging to power. I argued that EPRDF is not yet ready for an electoral democracy. In a bid to demonstrate an alternative yet constitutional means of possible social change such as civil disobedience I wrote further articles as a follow up to my critique and highlighted different elements of social change across a spectrum of societal issues. As much as I can I tried to kindle genuine public conversations in bringing these issues to the public’s attention through my articles such as ‘Fear and Social Change’ ‘Regime Change and Religion’, ‘The Role of Civil Society in 1974 Ethiopian Revolution’ and “Revolution or Sluggish Change” It was during this time that I contemplated deeply about revolution. It was one phase of my life in which I have tried to articulate my comprehension of revolution into pieces of writings but it was also a stage of my life in which my belief on revolution was dropped off significantly. But I have to confess here that my belief on revolution plummeted to its all-time low merely in 2013. Subsequently, I found myself turned into an activist of an organic social change through processes (not a transient revolution) from an avid reader and advocate of revolutionary ideas. I have to put in plain words that what made me skeptic of transient revolutions; I have to explain at length that how I progressed (say it regress if you like) from being optimistic revolutionary to a proponent of an organic and authentic social change through processes, as the 1960s Ethiopian Marxist revolutionaries put it, what turned me from being ‘Revo’ (revolutionary) to ‘Sabo’ (Saboteur). Please note that I was only an enthusiastic reader of revolutionary ideas. In the meantime the Ethiopian social media sphere and the private press spontaneously embarked on entertaining a sort of peculiar conversations. These conversations were prompted by Jawar Mohamed’s public comment on Al Jazeera’s English daily television program called The Stream. On the show when Jawar was pressed by the host of the show what he prefers, flanked by his ethnic and national identity; he declared his ethnicity comes first over his national identity and acknowledged himself as ‘Oromo First’. Many consider the public discussion which followed the Jawar incident as a pointless exercise of talking past each other but I think of this spectacle in a different way. I consider this incident as one of fascinating things because it really helped many people to re-examine their understanding of Ethiopia’s historical and political phenomenon. For me that incident was an excellent opportunity and serves as an evidence that we need a ground for long-running debates and a continuous scholarship on Ethiopia’s historical and political phenomenon. The spectacle should be an eye opening and insightful opportunity especially for those of us who are a loosely-knit community of dissents, oppositions groups, writers and activists whose organizing purpose is only to triumph over EPRDF. It was an incident that tasked all of us to find a possible way and build a system that can maintain a consensus among opponents. Furthermore, the incident made it clearer than ever that most of us only know what we do not want but we do not clearly know what we really want. To conclude on this, the incident exposed that Ethiopians struggle for democracy is not principled but rather it is based on indignation and grudge. As difficult as this issue to contemplate I started to realize the fact that despotic leaders are generally results of broader and yet fundamental societal flaws. For me this was like the aha! moment. So when revolution is conceived in a society with a high degree of authoritarianism, the end result is usually more authoritarianism. I think it comes down to individual elite who appeared liberal and revolutionary from authoritarian society are either concealed authoritarian themselves or the society is not yet ready to allow them to exercise their liberty. This is like a classic causality dilemma, which one came first a chicken or the egg. But I think one should change first and it should be the society. It is with this eureka effect that I tried to revisit the revolutions in the Arab world. Tunisia, Egypt, Libya, and Syria… and I tend to think that the revolutions in these countries have done more harm than good. They caused a great deal of human suffering. Removing a despot does not necessarily guarantee a change. In similar manner the 1974 Ethiopian Revolution which removed HaileSelassie’s rule and replaced with the Dergue, a Marxist military junta is just as bad (If not worse) than the revolutions of the Arab world. It is even worse if we consider the human suffering that was caused by the infighting and power struggle of the political parties of the time. I have watched when the storied Ukraine for its Orange revolution of 2004 back to revolution all over again in 2014. I even tweeted about it ‘to revolution then calmness and back’. The February 2014 Ukrainian revolution culminated (I am not sure if I can say it is culminated) in turning over its own State Crimea to pro-Russian forces even though it appeared the Russian involvement in Ukrainian affairs cited as one of the cause of the revolution. I also wrote a commentary on my personal blog asking “Are revolutions meant to be betrayed? ››My point in this particular blog post was showing reasons why elite citizens who usually initiate revolutions would end up in brawl and infighting after they started revolutions. I used the old Amharic saying to illustrate my point ‘Thieves usually do not fight when they steal but they brawl when they divide what they robbed”. I intentionally used the word ‘thieves’ to illustrate the context of Ethiopian political reality. I am referring to Ethiopian astroturf political originations (formal or informal) that are organized in the name of interest group to bring social change. Beyond their being astroturf in their nature they fight each other. We have numerous such groups and their sole propose is to get hold of political power and harvest the benefits from it not brining genuine revolution. For this reason I truly believe we can bring change without going through an instantaneous revolution. We can take a good lesson from the history of English people. The English people have a lot of exemplary deeds. Rule of law, discussion and public engagement though grass root organizations can bring the desired form of government and we can also achieve social change peacefully. An acquaintance of mine who knows my stance of instantaneous social change came to visit me in prison after I was unjustly accused of inciting revolution. He looked at me and said " Aha, what did I told you, there will never be a change without revolution’. 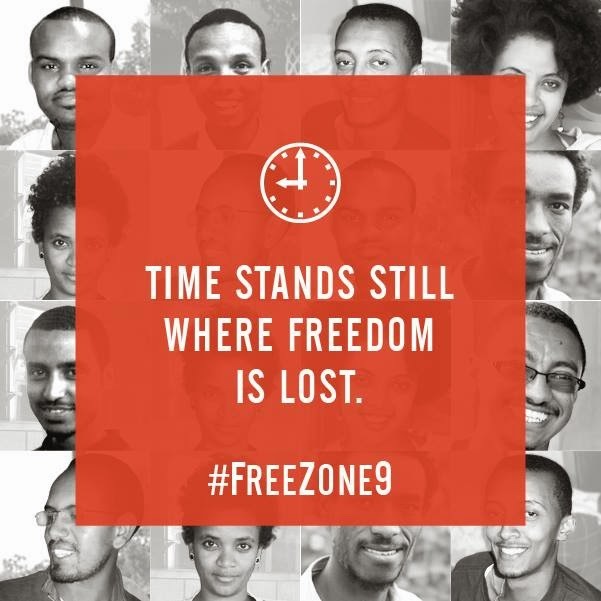 But remarkably even in the injustices and sufferings me and my zone9 blogging collective colleagues have been through I still see the need for an authentic social change. Had the society have had the consciousness; they would have seen the impunity of the Ethiopian government (police) enjoy and the injustice we are suffering from. Apparently the Ethiopian government does not have the slightest concern for legitimate questions of Ethiopians but rather they are deeply bothered by the ‘noise of foreign powers’. Suffering the consequence of using the right to freedom of expression has become a social reality because the society sits silently and watches all the injustice. Society should start to speak up against injustice but to do so we should embark on educative and liberating process through grassroots activism and peaceful disobedience which are yet not happened in Ethiopia. Once a society has become conscious of the benefits of liberating social change and developed a test for liberty there is no way back. I believe consciousness comes first then liberty follows. We have failed spectacularly because as a society we have the cart before the horse in most of our projects. That is how explained for my acquaintance who visited me in prison as well. However, as Kiflu Tadesse put it on the first of two volumed books “That Generation” which dealt with the 1974 Ethiopian Revolution Haile Fida one of the iconic figures of the storied Ethiopian Socialist Movement never predicted Ethiopians would revolted just one year ahead of the 1974 Ethiopian Revolution. According to Kiflu, in 1973 Haile said for Ethiopians to start a revolution it would take them a minimum of twenty five years. Unless I blunder like Haile I don’t think there will be a revolution in Ethiopia in the foreseeable future. Finally like the Ethiopian satirist Abebe Tola usually say if I screw-up on this screw me over.